Yes, you read that right…we are thinking “Back to School” today. I know that you all are in summer mode & don’t you worry, we are too! It’s hard to believe that in less than a month we will be packing lunches, starting the homework routine, & sending our kids to their first day of school. 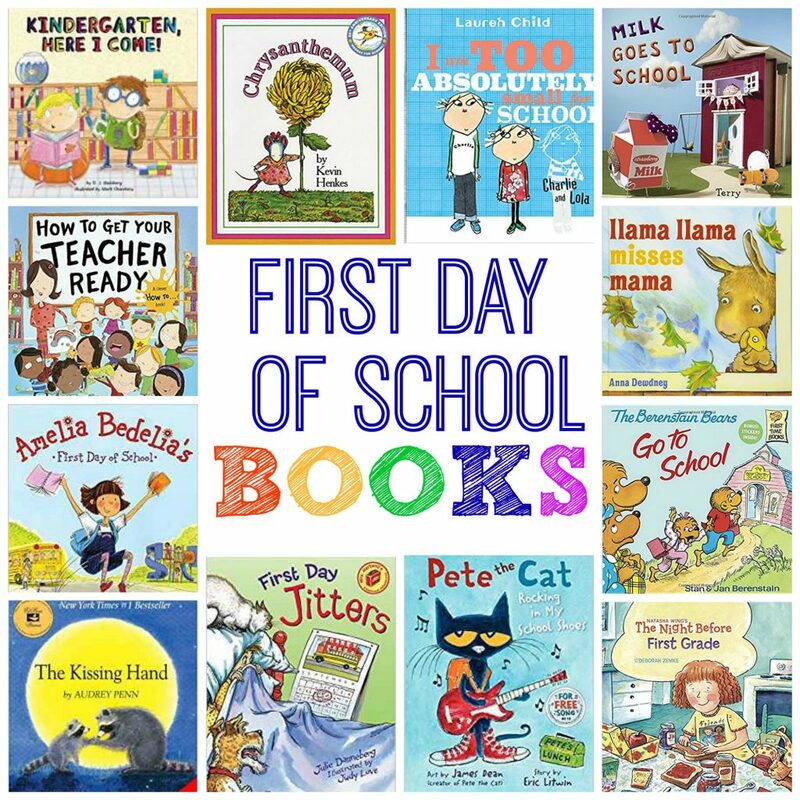 Today, we wanted to share some of our Back to School favorites for this year. One lucky winner is going to win our “Best of Back to School” giveaway featuring all of our 2017 favorites. Make sure to check out the collection and enter the giveaway at the bottom of the post! I See Me is always our go-to for personalized gifts. It’s also a great site for personalized items for school. 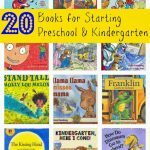 Their personalized books are a sweet gift for kids starting school and they have cool personalized school supplies like lunch boxes and stickers for labeling. Use coupon code: CHIRP10 for 10% off. Personalize your very own pack of school name labels to start the school year off right. Name Bubbles has you covered for the entire year, whether it be preschool, elementary, middle school, high school or college, these personalized school name labels will keep their back to school gear coming home. Winner will receive their choice of one School Labels Pack featured here. Nalgene features school snack & lunch necessities. Nalgene carries reusable water bottles in a variety of colors and prints & one of our favorites, the Lunch Box Buddy. With the Lunch Box Buddy, their food will stay cool and their sandwiches are safe from being smushed. It’s reusable & dishwasher safe! eeboo has a big collection of back to school finds! Make sure to check out their fun & unique backpacks. Other great finds include their art supplies, learning games and puzzles, and a variety of flashcards for your student. Winner will receive choice of large backpack from eeboo. Use coupon code: chirpingmoms25 for $25% off $25 or more through 8/18/17. This shirt is the perfect back to school shirt! The shirt features a glitter monogrammed apple shirt that will sparkle for the first day of school. Make sure to check out other monogrammed items & vinyl decal gifts while visiting the shop. Winner will receive one monogrammed back to school apple shirt (sizes available are 6 month-size 10). Get back to school shoe-ready with the stylish shoes from Babychelle. This online shop features some of our favorite brands including: L’Amour, Angel Baby, & Pluie Pluie. Their back to school collection ranges from old school mary janes to updated classic staples. Winner will receive shoes of choice. For 10% off, use coupon code: CM10. This hand painted pencil banner is perfect for back to school pictures, hanging on the mantle to get your kiddos excited for school, or hung in your very own classroom! It consists of 8 hand painted pencil pennants. Each pennant is approximately 4″ wide and 6″ long (at the point of the pencil) The banner is approximately 36″ in length with an extra 18″ of twine on both sides to ensure the perfect hanging height. Winner will win Back to School Pencil Banner. Use coupon code: Back2School for 15% off your purchase. The First Day of School Bus Chalkboard sign is the perfect addition for the first day of school photos! You can reuse this sign year after year. Winner will receive the First Day of School Bus Chalkboard. Use coupon code: BTS2017 for 10% off through 8/12/2017. 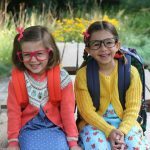 Back to School Headbands & Bows from this adorable bow shop. Winner will receive one 4 inch pencil-inspired hairbow. Use code CHIRP for 15% off your order. 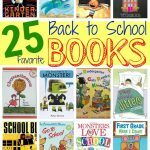 Below is a list of our favorite Back to School Books. Winner will receive a surprise book from this list! 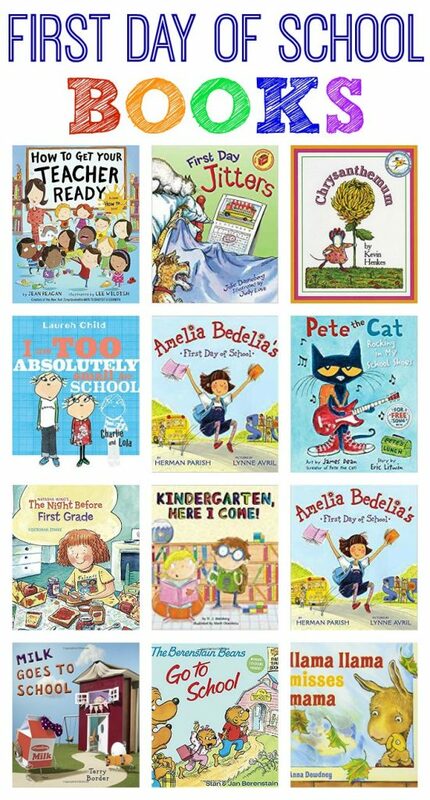 We hope you enjoyed our wonderful collection of Back to School favorites! 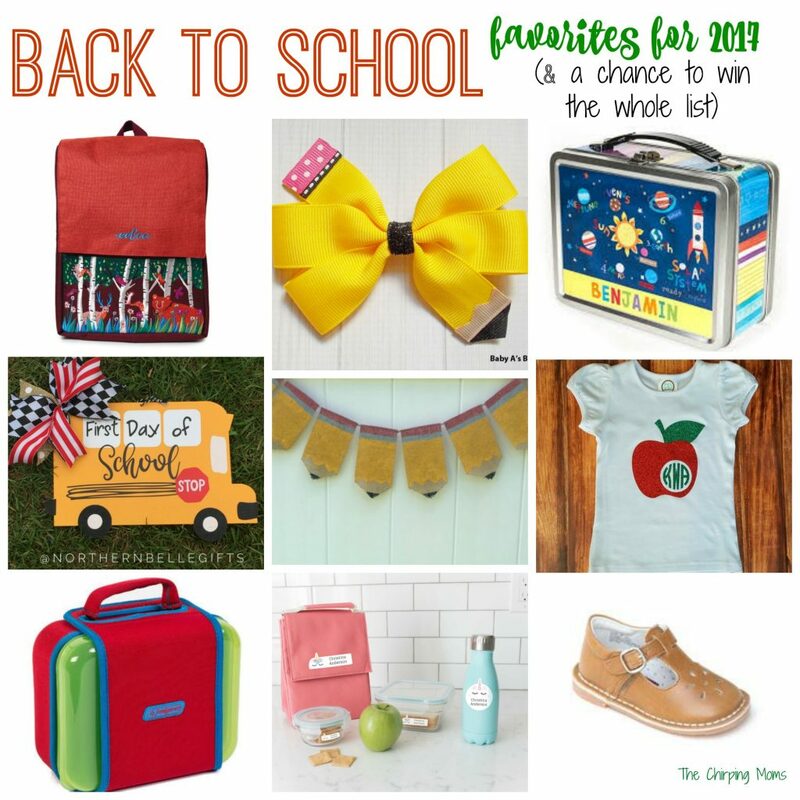 One lucky reader will win the Best of Back to School prize pack that includes an item from each company or shop featured above. To enter the giveaway, please enter the Rafflecopters at the end of the post. Also, please check our Facebook page for more additional ways on how to enter. Good luck and Happy Back to School Season! That pencil hairbow is ADORABLE! What a fun collection of stuff. Love all of these products! Especially the labels. So cute and with 3 kids in preschool and elementary, we need them! As a teacher, all these ideas really get me in the spirit of back to school! I love the pencil banner for the classroom for Open House or to just take some cute back to school pictures of your kids. All of those books choices are awesome! I love reading “First Day Jitters” to my students on the first day of school! What a fun giveaway! I have a sweet little princess entering Kindergarten this year. We can not be more excited. With four kids to buy new water bottles for, I could definitely use the $50 voucher to spend at Nalgene.com. 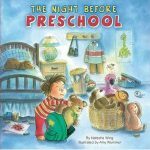 Love those books for my son. What a great selection of back-to-school goodies! The book choices are great. Thank you! My favorite is the $50 voucher to spend at Nalgene.com. Oh they are all so neat for back to school! I think one of my favorites is the First Day of School Chalkboard! Would be so fun to use for pictures! I think that’s the cutest hair bow I’ve ever seen! Id love the labels pack too – a must have for going back to school! I simply love your picks! I feel like I need all of them, LOL. Thank you for sharing them with us! 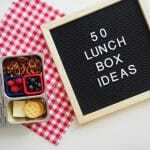 I would love to have an I See Me personalized lunch box for my daughter! I know she would love it! The books would be great.